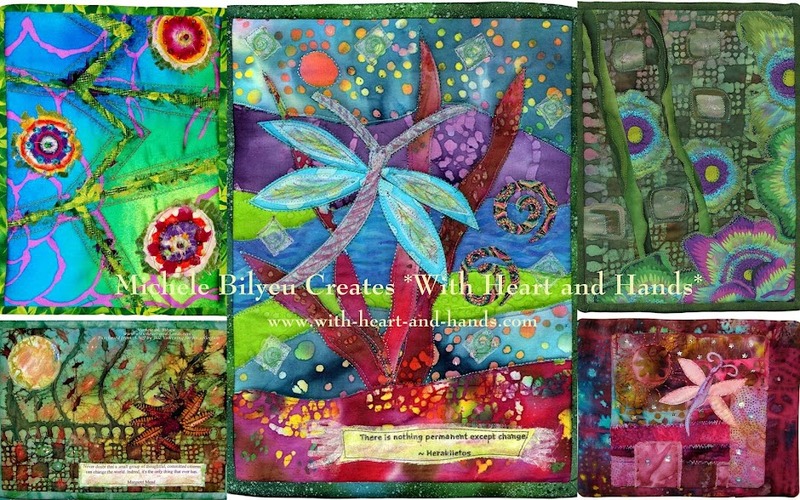 Michele Bilyeu Creates *With Heart and Hands*: Win a Just Released Mary Lou Weidman Book! Win a Just Released Mary Lou Weidman Book! I am delighted to offer my readers an opportunity for winning a free copy of Mary Lou Weidman's very newest book : Out of the Box With Easy Blocks...Fun with Free-Form Piecing ....which is just now "hot off the Martingale press." Co-written with the talented, Melanie Bautista McFarland, this book is a whimsical and colorful exploration of fun and free-form piecing ideas and techniques that follows Mary Lou's previous book (Out of the Box....Unleash your Creativity Through Quilts) with new ways to think (and to quilt) outside of the box... but still within your own creative abilities! 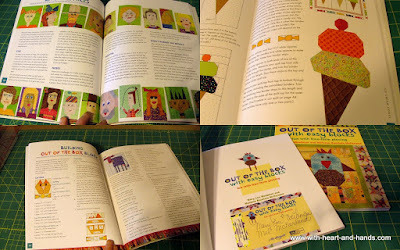 And while Mary Lou's first "Out of the Box" book was chock full of ideas for her now famous story quilts and encouraged creative embellishment, this one is all about the whimsical process of introducing free-piecing fun into your quilts and quilting! cakes, cupcakes, 'ice-pop' popsickles, ice cream cones, taffy, and lollipops. And then for the healthy part of any quilting diet, there are apples, pineapples, happy hearts, and liberated stars and of course, Mary Lou's now famous pieced flowers..both in and out of their little pots. And for even more fun..there are even liberated handbags and free-pieced shoes, and so many, many ideas for piecing people and a wonderful variety of faces! And some of those faces might even be used for royalty or fairy princesses or even some delightfully charming angels! They are all in this book with graphing diagrams, material and cutting lists. But wait, there's even more! The famous "latte' girl" had to include her coffeepots and coffee cups and then there are her hugs, smiles and other fun with her new version of her hoochy mama fun alphabet. "Hoochy" fun is when one of Mary Lou's 80 year old students yelled out "Hoochy Mama' with joy and celebration every time she made a new block in class. "Hoochy mama" fun, in this sense, is a good and healthy zest for life filled with joy and exuberance. This hoochy alphabet is a pieced, rather than appliqued one, but one that still maintains the charming folkloric look that Mary Lou's story quilts are so famous for. So, it is perfect for combining with free-pieced and new angled blocks, rectangles, and other fun shapes, as well. If you're still quilting from within the box...now's your chance to learn a few techniques with diagrams, and wonderful graphics that will help you liberated yourself to new ways to create familiar forms sewn 'out of the box..with easy blocks." And if you've already taken the first learning steps towards free-pieced liberation....here's your chance to dramatically increase your repertoire of creative block and free-piecing ideas and techniques by adding zany new faces and spaces to wonderful new places! Well hello... Mel and Mary Lou! ...and thanks so much for the new book ! Leave a comment in my comment box, below... for a chance to win this great new AUTOGRAPHED book! And MAKE SURE your profile is set to connect to email as described above to have a winning chance for this! And if you are not a blogger, leave at least your first name, last initial and a valid email address where I can reach you in the comment or email me at quiltingjourney@gmail.com with that info. "Good bye heart!" Oh, yes, please put me in the running for this book! This looks like a fun book and I'd like to be put into the drawing. Thanks. What a great book! Thanks for the chance to win! Hoochy! Please throw my name in the pot...thank you for your generous giveaway! Melanie Bautista and MaryLou Weidman..what a fabulous creative pairing! Love their work! Thanks for getting the word out about this collaboration. I love Mary Lou and appreciate the chance to win this copy of her new book. It looks great! I love Mary Lou and would love a chance to win this signed book!! !, thank you so much for the chance!!!! This book sound delightful, count me in on the give a way. What fun blocks! I love that purple cow! Great book! Thanks for the chance to win! This would make a great addition to my quilting library! Thanks for the opportunity to maybe get a new book! The book looks like real fun. Please put me in the running. Now, I'll bop over and check out her blog. Have a great, but cool, day. Excellent review! I can't wait to get this book! I love Mary Lou's designs. Hurrumph! This book has got my name on it! Don't know why anyone else is bothering to comment ROTFLOL! That means that I don't stand a chance. I never win these things anyway. I really enjoy reading Mary Lou's blog and this looks like a terrific book. I would love a chance to win such a fun book. Hoochy mama made me smile- we all need to live life with such exuberance. I love this opportunity to win this book - a perfect way to help me become a more Liberated Quilter. Thanks for sharing. Hi Michele - as you know I'm trying to expand my 'comfort zone' and I think Mary Lou's new book is just what I need. She came to Lincoln NE last year and all my friends had a ball in her class! Great review, Michelle! Please put my name in the ring for this special book! Michele, you do a great job of book reviewing; any quilter would want a copy of this new book after reading your review. There is always something new to learn about free style quiltmaking, and Mary Lou's book is a good place to begin. Thanks for this giveaway. Quilting and books. My two favorite things to do! What a fantastic book! Thanks for adding my name in the drawing. My fingers are crossed! Thanks for offering such a great prize! LOVE the chickens and ice cream cones!!! Put my name in the hat. Hoochy mama! that's a great giveaway. thanks for the chance! What fun, I'd love to win a book. Hugs and thanks for the giveaway. oh, oh, oh, i want it sew! please,put me in the hat!! Love the ice cream cones,just fun. Oh my goodness...that looks like a wonderful book! I love the purple cow!!! Oh my word, I would have to call in sick to work if I won that book! It looks soooooo fun! Regardless, I'll be looking for a copy of my own! What a great book. That looks like so much fun. I would love a chance to win! Love that purple cow! It would be such fun to have this book and be inspired. Fingers crossed! Not a lucky person... but you never know! Thanks. Wow, can you believe we did not pay for this advertisement? My goodness girl, you outdid yourself. Thank you for the lovely write up...we love you for being so sweet and always did! What an awesome book! I would so love to climb out of the traditional box and make some "hoochy" blocks!! I want!!!!! I'm from Spain... can I to participate???? sorry for mi English... I like this book very much. I have all of Mary Lou's other books!!! have my story quilt... in the works!!! I just got ML's last book, and this one looks even better! Please add me to the drawing, and thanks for the chance to win this book! I got to see the Purple Cow quilt "in Real Life" when I went to Martingale Pub - along with a couple of Tonya's quilts too. Heaven! It looks like a book that is filled with neat project ideas. Thanks sew much for the opportunity to win! 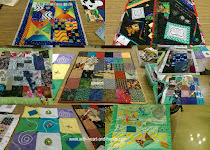 I really want to thank you for the quilt show photos. That's a show I've always wanted to get to so it was such a delight to see so many pics to drool over. Oh, GOODY!! I hope my quilt shop gets this one! They never did get the "Flower Power"
I just love her other two books that my Mom and I bought at her lecture at our guild a year or so ago. I would love to win this new book. What a fun book, for sure it's on my "want" list. Please enter me in the running. I would really love to win Mary Lou's new book. I have two of her books and they are very inspiring. Looks like a fabulous book...thanks for the chance to win a copy! I would love a chance to win a copy of the book. Looks like it will inspire some creativity!I enjoy your blog and have it bookmarked.Love the links for free tutorials. (I teach sewing and it gives me good ideas, info. )Thanks for all you do, Michelle! It looks like a fantastic book, I'd love to win a cpy. It looks like another great book by Mary Lou! Please put me in to win a copy. Looks like the "next best thing" if not able to take one of Mary Lou's classes. I'm still hoping for that, but until....would love to win the book. Thanks for being so generous. Please put me in the running..
Oh this book makes my heart sing and dance. I love whimsy and this book looks adorable. Yeehaw! It doesn't look like my chances are very good but put my name in the hat anyway! I appreciate Mary Lou for her encouraging attitude as much as anything else. Really cute ideas. Throw my name into the ring! I'd like a chance to win! It looks like a great book! add me to the very long list of people wanting this book! I have no blog but am a member of lib quilters. I would love to be included in this give away. I don't have a blog but I am part of the Quilting Corner. I'm a member of lib quilters group. I don't have a blog but love reading yours. Hope I win this book ... it sounds exciting. I'd love a copy of the book!! Please include me in the drawing. 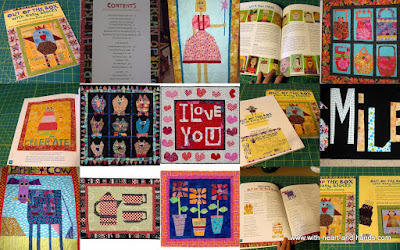 I have been following Mary Lou on Quilting Arts and her blog. I'm very much attracted to her artistic style. I don't have a blog, but belong to Cyberquilters, a Yahoo group. Thanks. The book looks great, I'd love to have it. And I know someone in need of a boost who would love it as a surprise gift. This looks like a fun way to step outside the box! What a wonderful book. Please put me in the drawing for a copy. It looks like such fun! This book looks like a lot of fun! Sign me up--what a cute book. thanks for taking the time to check out our book. I really enjoy sewing with Mary Lou. We have loads of fun when we work together and hope all your readers will too! Don't be afraid to make these quilts using your stash & maybe something new. Ohhhh, would love to win this book, so many neat ideas! I am very excited about this new book. I can't wait to do shoes, purses, and purple cows. I am a big fan of Mary Lou's work. What a lovely review of Mary Lou and Mel's new book. I was just at her June retreat and saw her advance copy..it is just as amazing as you describe. A gotta have for anyone with a sense of whimsy. 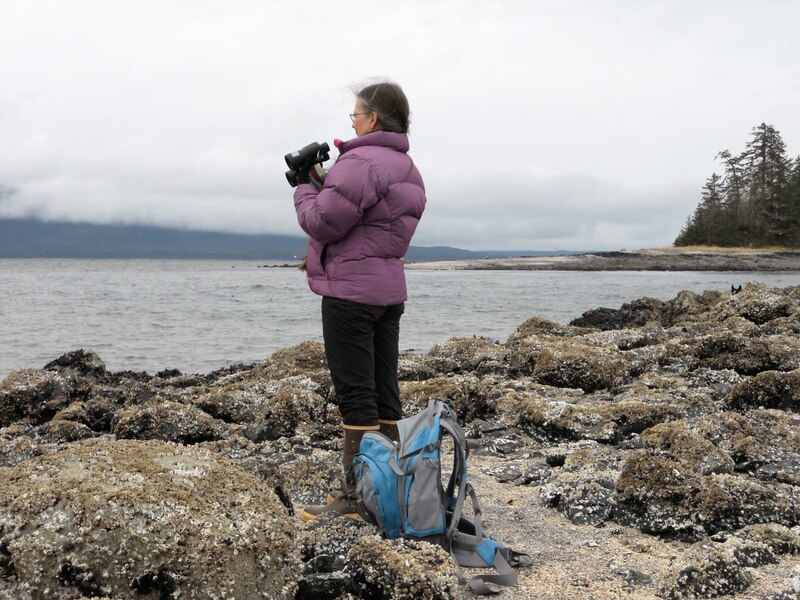 Thanks for sharing pictures and snippets from Mary Lou's new book! Looks like a fun book. Would love to have a copy ;-) Thanks for the giveaway chance. Looks like a fun book with lots of inspiration! I Would love to win this book. I have just discoved Mary Lou and her work - it is wonderful. Don't you just love the pictures of these quirky and wonderful quilts? Love her books and attitude. Hope I win. Count me in. I have a few of Mary Lou's books and enjoyed an out-of-the-box retreat with her in June. I've recently found Mary Lou and would love to win a copy of her new book!! Thanks for the sweet words on my blog, Michele. Please add my name to the drawing...I'd really love this book! I would love to win a copy of this book. I've been intrigued by all the liberated blocks I see on quilt blogs and would like to try it out. Thanks for the giveaway. Hi Michele, I would love a chance at winning this book. I see your email address and will email you privately with mine, just in case I do win..LOL. I hope I'm not to late to get in on this. Thank you for doing this.It's something I would love to try and a book to own. Me too, me too! Sorry I didn't see this sooner. I so want to be in the drawing! Oh, Oh. Pick me! Pick me! What fun! This little book looks like a treasure! Can't imagine the AAQI quilts which could come from it. Wow, Michele, hope made the deadline to enter. What great feedback and comments you're getting on the review of the book! Thanks for all the pics too. Fun! You might have already done this, but if you haven't, please add my name to the list for this drawing. Thank you and am mailing my address just in case. Please enter my name. I would love this opportunity! I know its the last day of this but I don't see the winner yet so if I'm not too late could you please add Cindy T in and I will send my email address. Thanks for doing this and letting me in if I still can. Such fun. Please include Arlene V. in your contest and I will send you my email where I can be reached. What a gorgeous book I'd love to add it to my Books . The drawing officially closed yesterday. So, sorry one comment still came in late! Please know that you can follow the links to purchase this great book on your own and I do so hope you will become a follower of my blog, if you are not already one, and join me in a lot more creative fun in the future! I have just read about this incredible artist. My first time to this site & I must say ... I am very impressed!